ASUS launched its first always-connected PC last year at Qualcomm Tech Summit. While the overall package is good enough, but the price tag doesn’t quite justify the performance. Much cheaper Intel devices easily outperform these ARM-powered Windows devices. However, carrier rates might be able to fill the gap between the price to performance ratio. This is indeed happening at least with the ASUS NovaGo. 1&1, a German carrier, is providing a very attractive offer for this device. 1&1 is offering this device on contract for 99 EUR (approx 122 USD) in advance and 16.99 EUR (approx 21 USD) monthly for a year and 19.99 EUR (approx 25 USD) for further 1 year which includes LTE as well. However, this only comes with 2GB data at maximum 50 Mb/s. Nevertheless, 1&1 is also offering another deal with 5GB of data with unlimited speeds at just 24.99 EUR (approx 31 USD) for 1 year and 29.99 EUR for the next whole year. 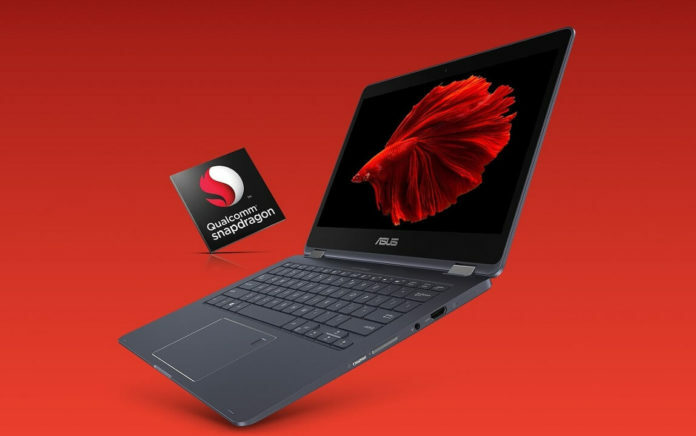 Looking at the overall package makes this ASUS NovaGo deal pretty reasonable and attractive. If this somehow becomes the case for all Windows on ARM devices, the price tag could be justified and the fact that those devices are aimed at the customers who’d need a cellular connection. This could possibly boost the sales of Always Connected PCs. As far as the performance is concerned, we can hope that Microsoft’s upcoming improvements to Windows 10 with Polaris and Windows Core OS could fix that. Speaking of the device itself, ASUS NovaGo is powered by the Snapdragon 835 octa-core processor, Adreno 540 GPU, with up to 8GB of RAM and 256GB storage. The display is an impressive 13″ 1920 x 1080 display with 100% sRGB color gamut. This device comes with Windows 10 S and can be upgraded to Windows 10 Pro. ASUS NovaGo will be available for purchase starting this May.